Sgt. 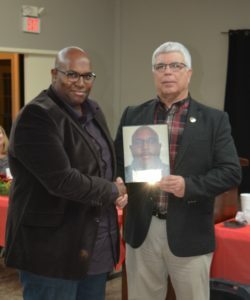 Darien Brown is the recipient of the Deputy of the Quarter Award for the first quarter of 2019. Sgt Brown serves as the supervisor of our School Resource Officer program and is assigned to Union Parish High School. Sgt. Brown is a 25+ year veteran of law enforcement and has served with UPSO since 2002. Sgt. Brown was chosen because of his leadership skills and his dedication to the safety of our youth. Pictured with Sheriff Dusty Gates. 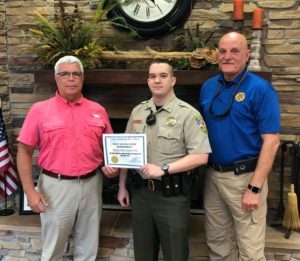 Deputy Christopher Satterwhite is the recipient of the Deputy of the Quarter Award for the second quarter of 2018. Dy. Satterwhite serves as a Field Training Officer (FTO) in the Patrol Division. Dy. Satterwhite earned this award due to his dedication to service and a high level of professionalism displayed in his duties. Pictured with Sheriff Dusty Gates and Chief Deputy Bill Webb. Deputy Shane Vocker is the recipient of the Deputy of the Quarter Award for the first quarter of 2018. Dy. Vocker is assigned to the Patrol Division. Dy. 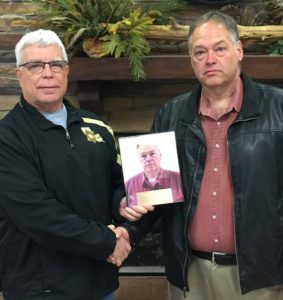 Vocker earned this award due to his strong work performance and commitment to outstanding service. Det. Sgt. 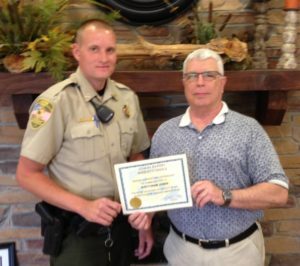 Earl Roberts is the recipient of the Deputy of the Quarter Award for the third quarter of 2018. Det. Roberts serves as a Detective in the Criminal Investigations Division. Det. Roberts recently led an investigation that led to the arrest of 11 individuals involved in a multi-parish burglary ring. The investigation netted over 30 felony charges and included the recovery of stolen property. Dy. 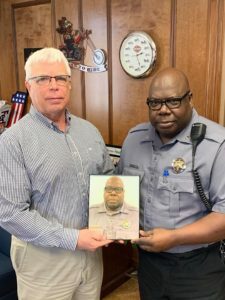 Leo Davis is the recipient of the Deputy of the Quarter Award for the fourth quarter of 2018. Dy. Davis serves as a School Resource Officer at Union Parish High School. Dy. Davis was recognized for his excellent service with the youth in our schools and dedication to our students – on and off campus.